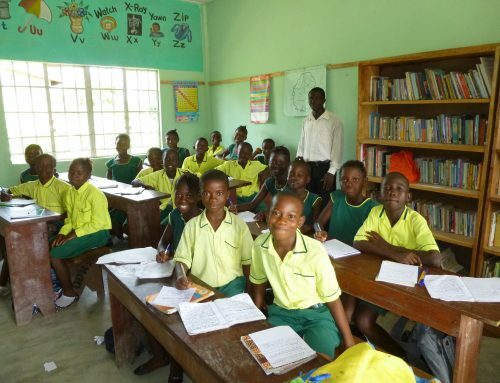 The term after Christmas is crucial in the lead up to our National Primary School Exam – NPSE, the first Saturday in May. 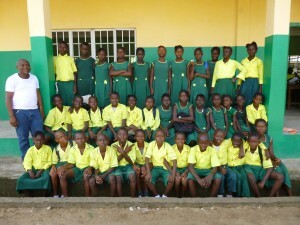 The parents have to be greatly encouraged to support their sons & daughters, all 39 of them. Attendance is vital. There are extra lessons on a Saturday and also after school each night. We also worked during the Easter vacation. I give parents my number & I have theirs. We all work very hard to try and ensure success. This is now our 5th season of NPSE and we have a proud record of 100% pass rate to live up to!! 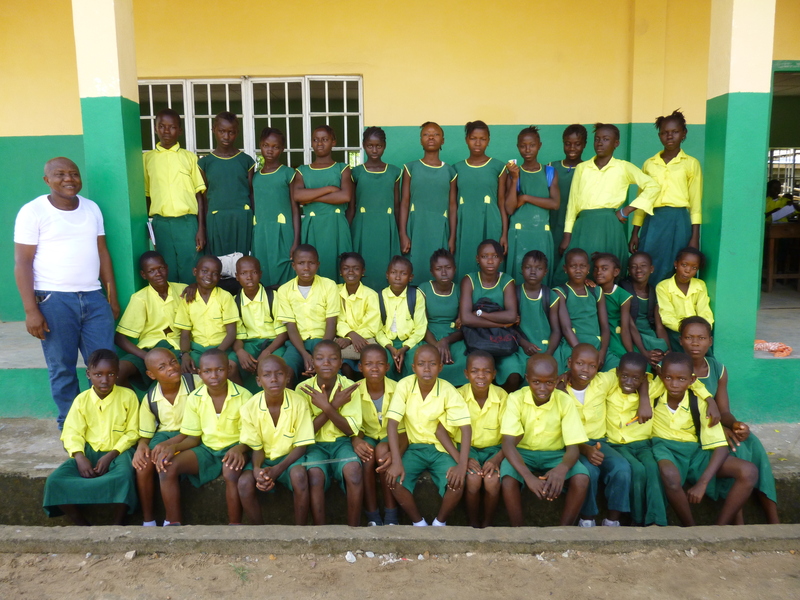 We are the top primary school in the very large Chiefdom of Tikonko. The mock exam results were encouraging. There are 5 exams giving a maximum of 500 points. The Government pass mark is 230, we accept pupils into JSS 1 with 250 points & above. After the exam it’s difficult to encourage the pupils back to school. Government schools generally don’t chase their absentees, it becomes an extended holiday from May to July. This really makes the start of JSS very difficult, pupils are out of step and take a long time to regain effective learning practices. We now call class 6. Pre-Junior Secondary. We are trying to introduce more sport for them & some different lessons. Aunty Laurel’s taught them some French. Mr Williams will introduce Mende. We’ll also try to have some practical lessons. When the results are released in August some of our 39 pupils will want to stay on. We will make the number up to 40 maybe with one or two repeaters from our current JSS class, plus pupils from other local primary schools. Report from Chris Kawa, Class 6 tutor. NPSE Primary School Exam. Results released February 2015: All 39 pupils passed! Lowest score 54%. Highest 65%. 72% were 60% & above. Wow, the most children ever entered & the overall highest pass marks.